The traditional Lancaster dual concealed thermostatic shower valve with classic slider rail kit, ideal for creating a traditional look in your bathroom. 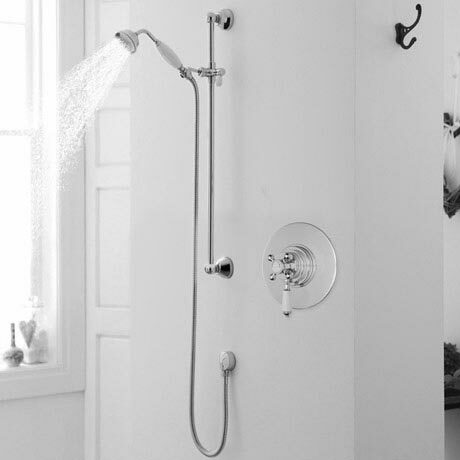 The shower valve offers thermostatic showering with two easy to operate levers, one lever operates flow whilst the other allows temperature selection. Operates one shower accessory.